We are big football fans around the Bartis house. I mean super-size-Texas big! We were supposed to have 2 baseball games tonight but a storm blew through this afternoon. My boys are giddy to watch the NFL draft tonight. And, truthfully, so am I. In honor of the NFL draft, I present my #EdTech Draft. I'm going to give you my 3 favorite tools in 3 different rounds. 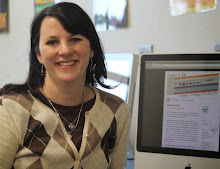 #1 - Google Apps for Education - Oh the things you can do! Email, word processing, spreadsheets, slides, drawings, forms! And work collaboratively. But, hands down my favorite thing about Google is the 'restore the revision' function that allows you to go back to previous (autosaved) drafts. To find this function, click File - See Revision History - choose the revision you like - restore this revision. This has made Mrs. Bartis a hero to many students. #2 - Canva - Canva is a beautiful graphic design website. I make most of the images I use on the blog with Canva. It's very easy to use. You can also sign up to receive design lessons via email. Canva is free to use and has many great free images. Premium images are only a dollar each. When you finish your image you are free to download and use it. Canva does not require branding on your images. I added the 'made in Canva' to the image above. #3 PicMonkey - Another wonderful free tool! You can quickly edit images without logging in. If I make my Canva image too large, I upload it to PicMonkey, crop it then download it. You can upgrade PicMonkey to a Royale account. You get some awesome effects with a Royale account including zombie effects. #1 - Penultimate - Penultimate is an notetaking app that allows you to write in your own handwriting. I love to make lists. I have my calendar in Penultimate as well as several other notebooks of notes. I have notebooks for my classes, sermon notes, and recurring meetings. Along with my Adnoit JotPro stylus, I use Penultimate every day. #2 - Book Creator - My students can make some awesome ebooks with Book Creator. They can draw, add photos and even videos. Book Creator also lets them narrate their book. One of my favorite assignments this year was the Geometry Scrapbook. Students found geometric shapes in the wild, took photos and created a picture book using Book Creator. #3 - iFiles - a life saver when you share iPads! Many apps let you export your product to iFiles. You can then use WiFi sharing to see the files on your iPad on your desktop. For the Geometry Scrapbooks, students exported to iFiles, I downloaded them to my iMac and burned them all to a DVD. Super easy! #1 - Evernote - I love that I can get to my notes and Penultimate notes on my computer, iPhone or iPad. I save all kinds of information in Evernote: passwords (encrypted of course), medical notes, and ideas for later. You can type, speak or take photos in a note. Lately, I've been taking pictures of information that comes home from school and putting it in Evernote. I have a notebook for each boy. Tomorrow when I need to know what time Sam will be back from Band competition, I'll open Sam's notebook and the picture of note from the band director will be there. You can also read about how Sam's using Evernote here. #2 - Comic Life - Comic Life is an iPad app and a downloadable computer program. It's a bit on the expensive side but so far worth it. My 5th graders use it all the time. They recently created a timeline using Comic Life. Students created 1 frame comic poster for each timeline entry. They then pasted them on a large piece of butcher paper. #3 - Remind 101 - My teachers, students and parents LOVE Remind 101. You can send texts from their website or app. As a mom, Remind 101 helps me keep up to speed with my boys' school work. I also use it for our numerous sports teams. It's so easy to send a game change text from my phone. Especially on the weekend of baseball tournaments. Remind 101 is always improving and adding new features. Currently, you can attach documents to texts. And every text you send is backed up by Remind 101. So you'll always know what you sent and when you sent it. 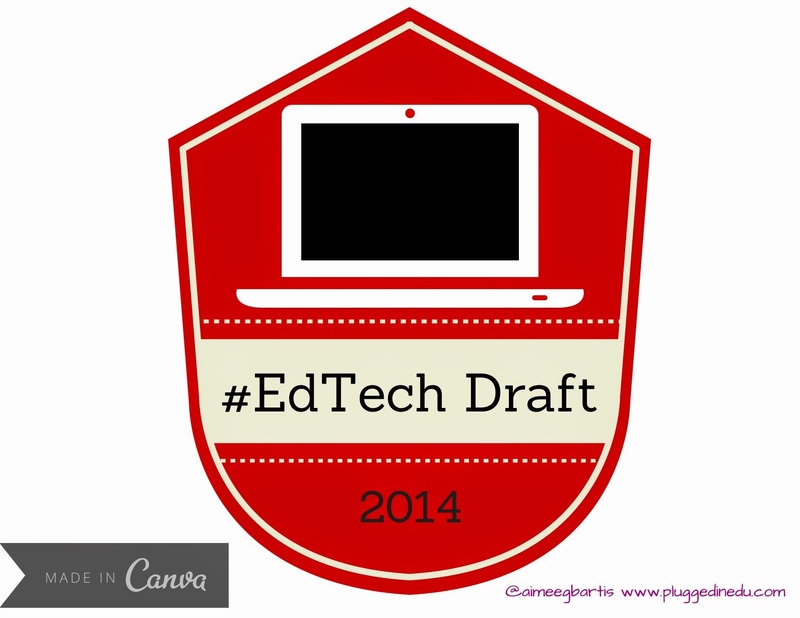 There are my #EdTech Draft pics! What are yours?